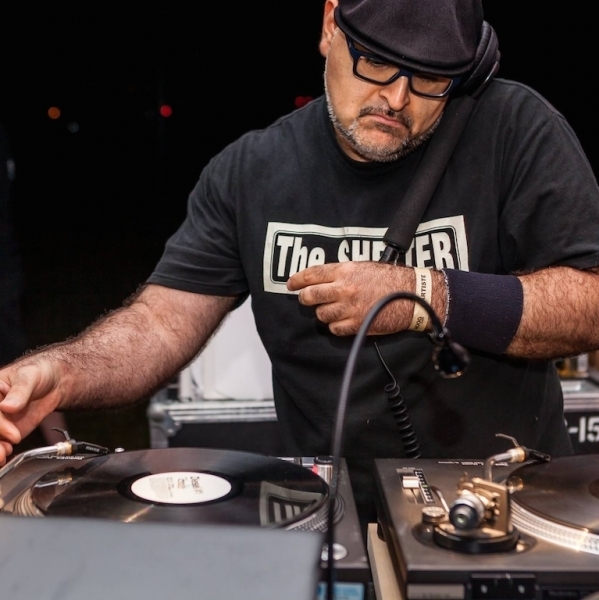 For 23 years, Montreal's DJ Michael Terzian of the mighty Nu Bang Clan has stapled a signature, cutting-edge House sound like no other ; gracing turntables in South Beach/Miami, Chicago, NYC, LA, Detroit, San Diego, Toronto, Thailand, as well as Turks & Caicos, not to mention a multitude of Montreal staples both old & new, such as DiSalvio's, Jai Bar, Stereo Bar, Salon Daomé, Globe, UN, Peopl, Jello Bar, Luba Lounge, Le Bleury Bar à Vinyl, Quartier Latin, as well as repeat appearances for Festivals such as Piknic Electronik and AIM. He's graced turntables alongside House Music pioneers such as Farley Jackmaster Funk, Victor Simonelli, Tony Touch, Jovonn, Rick Wilhite, Alton Miller, Ian Friday, Tyrone Francis, Jephte Guillaume, Gene King, DJ Sabine, Herb Martin, Freddy Sanon & Ben Johnson of Shelter NYC, amongst others. Renowned for his eclectic musical journeys, Terzian's repeatedly been nominated on NYC's annual listing of "Robbi's Top 20 DJ's" alongside legendary icons such as Timmy Regisford, Danny Krivit, Tony Humphries, David Morales, Karizma, Francois Kevorkian, Kerri Chandler, Kenny Dope, and Grammy-Award winning Louie Vega, amongst others. For a decade (1998 to 2008), Michael was a member of Montreal's revered 'Utopia's Paradise' weekly Saturday night radio show on CKUT 90.3FM (with Tony Desypris, Peter Lightburn, Claude Dabbas, Mark DiPalma, iDP). From 2010 to 2013, Terzian's self-produced weekly 3-hr Friday night radio show, Salvation From Sin, on Montreal's CJLO1690, received accolades from industry pundits from all over the world, not only for its tasteful selection of pure, unadulterated underground House Music, but equally due to the many local & international guests that contributed to the show over its almost 4-year run, not only in terms of live in-depth interviews, but guest mixes too. Integral & pioneering Dance Music pillars such as Joe Claussell, Juan Atkins, Larry Heard (aka Mr Fingers), Ron Trent, Byron Stingily, DJ Spen, Jay Denes (aka Blue 6/Naked Music NYC), Chris Brann (aka Ananda Project) & Eddie Perez (Smack Music), amongst a slew of others, dedicated their precious time to this unprecedented show. Following his stint at CJLO, Michael fulfilled the duties of Music & Programming Director (for the DEEP Channel) at MotionFm.com for a couple of years. In 2015, Terzian joined forces with longtime friend & DJ, The RawSoul, to form the Gold Diggerz, a knockout DJ-duo who have since held court at several key events & festivals in Montreal, such as Piknic Electronik, Lofthanza, AIM and Jardins Gamelin. Since mid-2015, Michael has also been holding down a weekly residency at The Angry Lobster Bar inside the world renowned La Queue de Cheval restaurant, in downtown Montreal. Catering to the rich and famous, Michael has played his mouth-watering cocktail of refined House sounds for a bevy of celebrities in the public eye, such as Katie Holmes, The Weeknd, PK Subban, Adam Sandler, Bernie Ecclestone, Lou Ferigno, and an intimate evening where he played for the legendary musician, Carlos Santana, and his crew. In July 2018, Michael began a new weekly FM radio adventure, by joining the team of CIBL 101.5 FM (www.cibl1015.com) in the heart of Downtown Montreal, to produce his 2-hour Friday night House Music mixshow, DéCaDANSE, co-hosted by his good friend Eric Lefebvre. A few short months later, the show was extended to a 3-hour format, running from 10pm until 1am.